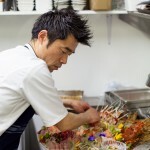 Cocoro opened its doors in October 2010, owned by Ricky Lee and Chef Makoto Tokuyama. 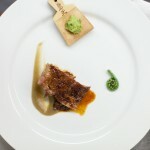 I was lucky enough to work with Ricky and Makoto on an incredible Tasting Club in the spring of 2015, close to the restaurant’s 5th birthday, and it was during this time that I came to truly appreciate the lengths to which they’ll go to create a transcendental dining experience. Food is only one element. The ingredients, the aesthetic, the intention, the theatre, the pure surprise and delight of an evening at Cocoro are all part of the reason why this restaurant has enjoyed success for so long. Makoto discovered a love for cooking at a young age while helping his grandmother to prepare a feast at the temple in which he grew up. His career began in an Italian restaurant in Tokyo, and took him to the famed Nobu in London, before he settled in Auckland at Rikka. He became head chef at Soto in 2004, where he met Ricky. For Makoto, the essence of Japanese cuisine is using local produce to represent your area, and making the best of what the season has to offer. 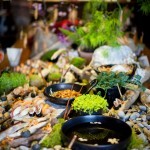 At Cocoro, he creates immaculate and considered degustation menus that always make produce the hero. 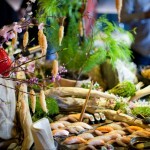 Makoto’s dining experiences flow from course to course with a rhythm of their own. 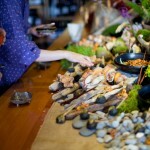 He puts so much care and attention into every tiny detail, from sourcing the best ingredients to restaurant decoration. 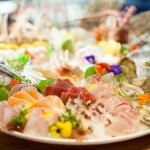 Cocoro has the most extensive sake list in New Zealand, with many varieties exclusive to the restaurant. They limit their sake list to the Junmai shu (pure rice sake) category, which means the only ingredients used in the sake’s creation are rice, water and yeast, as opposed to other forms of the drink where alcohol is added. The restaurant also has one of the most extensive champagne selections in town because, after sake, it’s the most natural partner for Cocoro’s cuisine. This is the kind of restaurant that no matter how many times you visit always feels like a new, indulgent experience. It’s a feeling that only the best restaurants are able to consistently provide, and it’s the reason why Cocoro is an unmissable Auckland favourite. 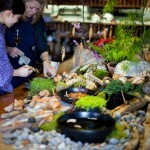 Note: these images are all from our Tasting Club at cocoro in September 2015, we installed an edible Japanese rock garden, and cocoro staff dressed in traditional Japanese kimono for the event, it wasn’t an everyday occurrence, although any experience at this restaurant will always be special.